The scholarships support the investigation of competition law enforcement through criminalisation. The successful applicants will study two of the core courses on the LLM Law and choose two options from the array of optional courses. The successful applicants will complete their dissertation on one of the two following topics: Criminalising competition law – the UK experience or The EU legal basis for criminalising competition law (see project descriptions below). The broad emphasis of both proposals is to investigate competition law enforcement through criminalisation. The UK, and a number of other competition law jurisdictions in the USA, other EU Member States, the Commonwealth and elsewhere, is already using criminal law as part of its enforcement process. There has been extensive controversy as to the desirability and effectiveness of this tool. Since December 2009 and the implementation of the changes to the legal framework of the European Union there has been a revised capacity for EU action that endorses criminal law mechanisms. The two projects differ in focus: the first concentrates upon the experience of domestic UK law; the second contemplates the scope and repercussions of any EU dimension. There could of course be scope for allowing comparative analysis within either project. This project will provide a critique of the UK experience in creating and enforcing competition law offences. It should highlight the scope of criminalisation and its relationship to administrative and leniency provisions, as well as adopting an analysis of the enforcement policy of key UK agencies. This project will analyse the post-Lisbon legal provisions of the EU, especially Arts 83 and 103 TFEU, as a basis for the criminalisation of competition law enforcement. It should critically address the extent of the legal basis for action, together with the scope of any putative competition ‘offences’. Postgraduate Masters award – LLM only. The awards are worth £10,000 each and contribute to fees, with any balance provided as a grant towards living costs. Applications should be made on the attached form and submitted to Mrs Christine Turnbull: [email protected]. Deadline for all applications to be received Friday 22nd June 2012. 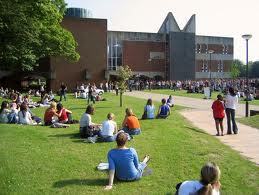 Demikianlah informasi mengenai Kellaway Scholarships, University of Sussex, UK semoga berguna bagi anda.